King Jeffrey was formed in October 2013 and grew rapidly into a thriving and active clan. The clan was formed by Mendicus in honour of the mighty King Jeffrey. We are an international adult clan with members from America, Europe, Asia and Australia but the two countries mostly represented by far is USA and UK. Our members are chatty and always friendly and willing to help others and give or take advice. 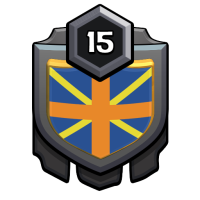 Along with the main clan we have a second clan called BadgersBootCamp which is for either people who do not meet requirements of main clan, people wanting more relaxed wars, or people wanting to work their way up to King Jeffrey.